The Ford Explorer Sport Trac was a four-door pickup based on the Ford Explorer that was introduced for the 2001 model year. 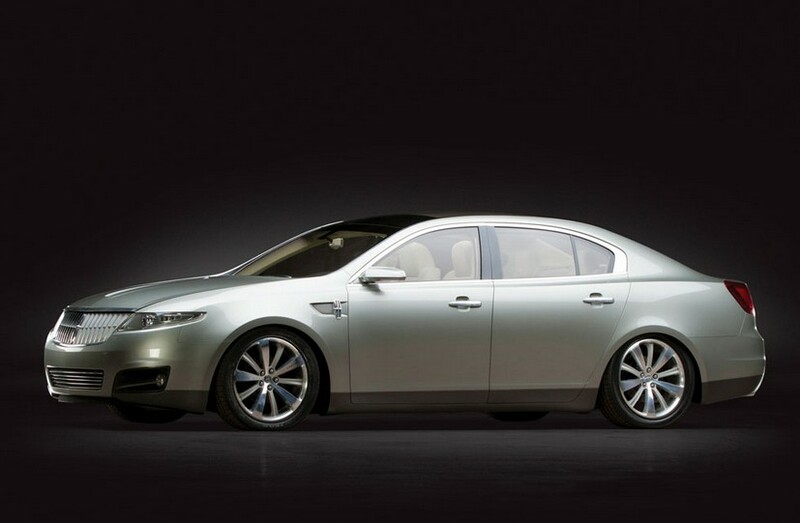 This running, driving concept car was introduced at the 2005 New York Auto Show. It is powered by a 300 horsepower, 4.6-liter V-8. That’s the same engine from the SVT Cobra of that year (SVT did this truck, too). 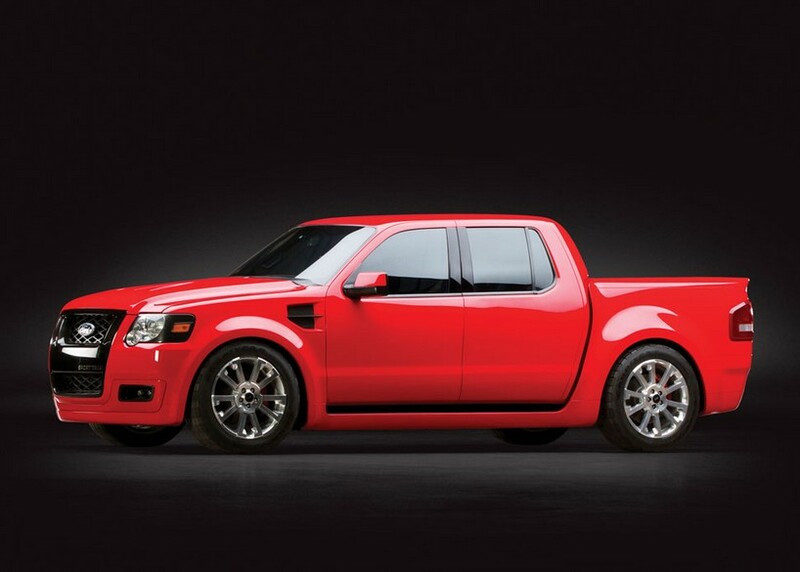 This sport truck was never produced as you see here, but this one-off concept went into this private collection in 2010. It can be yours for between $50,000-$80,000. Click here for more info. For some reason, this car is called a “2005” when it was actually introduced at the 2006 North American International Auto Show in Detroit. This car was the vision for Lincoln of the future. It carried on from the earlier Lincoln Zephyr Concept from two years prior, but this car was much closer to the production MKS that went on sale for the 2009 model year. This car does run and drive and is powered by a 315 horsepower 4.4-liter V-8. Production cars only have V-6s. You can have this design study for between $30,000-$50,000. Click here for more info. 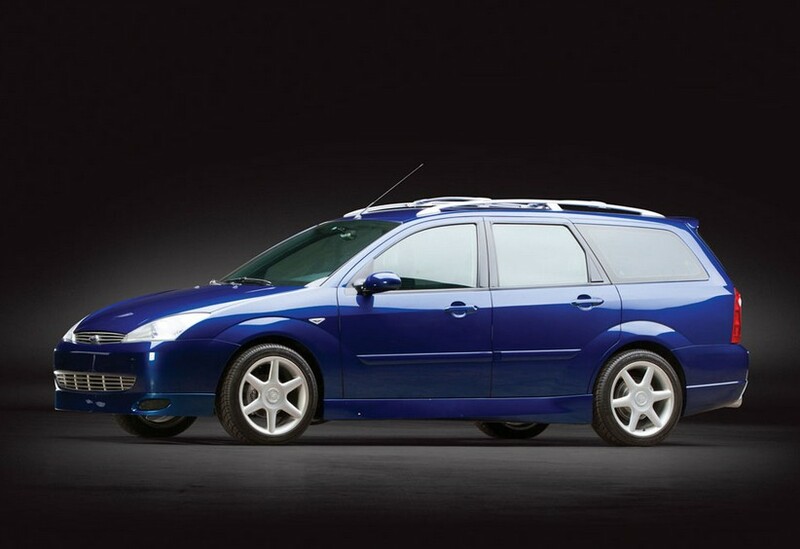 The Ford Focus went on sale in North America for the 1999 model year (1998 in Europe). To appeal to the active lifestyle types, Ford partnered with Kona U.S.A., manufacturer of mountain bikes, to produce Kona Editions Focuses in 2000. Focuses? Focii? The engine is a 2.0-liter straight-four making 130 horsepower. Production cars had bike racks on the roof. This was the pre-production prototype used to introduce the limited-edition model. It was first shown at the 2000 Los Angeles Auto Show. Only 5,000 production versions were made. This one should cost between $10,000-$20,000. Click here for more info and here for more from this sale. This entry was posted in Uncategorized and tagged 2000, 2005, auctions, cars, classic cars, concept cars, focus, ford, kona, lincoln, mks, pickup, prototype, rm auctions, sport trac adrenalin, wagon by classiccarweekly. Bookmark the permalink.